Annual summer music, camping and arts festival that celebrates the Grateful Dead & showcases a variety of music, held in Bridgeport, Connecticut. Gathering of the Vibes is an annual music, arts and camping festival now in its 16th year. Vibes has grown into a four-day festival that has featured such world-class talent as Crosby, Stills and Nash; all living members of the Grateful Dead; the Allman Brothers Band; James Brown; the Black Crowes; Buddy Guy; Jimmy Cliff; Primus; George Clinton and P-Funk; Bruce Hornsby; Les Claypool; and many, many more big names, while continuing to showcase extraordinarily talented, young, up-and-coming bands to the 15-25 thousand people who attend each year.Held in six different venues over its fifteen years, Vibes 2011 marks the festival’s seventh return to Seaside Park in Bridgeport, CT, making Seaside Park the Vibes venue more than any other place. Vibes has become the Northeast’s preeminent music festival — springing from traditions born in the Grateful Dead community. During the band’s 30 year run, the Grateful Dead sparked the creation of an unparalleled sub-culture of loyally devoted enthusiasts. More than just another band, the Grateful Dead became a way of life for thousands of self-proclaimed Deadheads. For decades, Grateful Dead shows served as a community-building institution where followers reveled with friends both old and new. 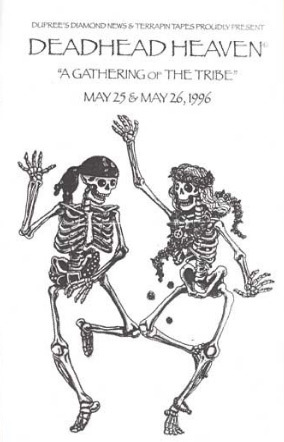 When Garcia died in 1995, Dead fans were left with a void. In each year since, Gathering of the Vibes has carried the spirit of these initial events forward by creating wholly unique musical experiences for attendees from far and wide. The folks who come to the Vibes annually to build and renew their bonds of friendship comprise the community that has affectionately become known as the Vibe Tribe. memorable sit-in with bass virtuoso Les Claypool. 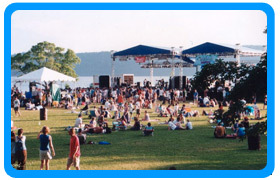 In 2001, as Seaside Park began to undergo major renovations, the Vibes moved to Red Hook, NY for its most well-attended event to date. 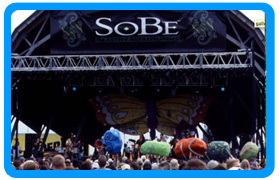 Following the year in Red Hook, the Vibes took up a five-year residency at Indian Lookout Country Club in Mariaville, NY from 2002 through 2006, highlighted by an incredible two-night performance by Phil Lesh & Friends over Independence Day weekend 2002. 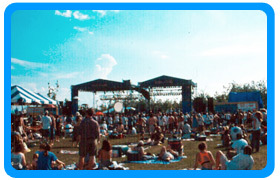 In 2007, Gathering of the Vibes came home to Seaside Park, re-kindling the magic of the unforgettable 1999 & 2000 shows. 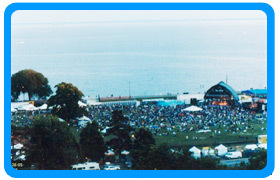 With the help of the Vibe Tribe and the generous support of the City of Bridgeport, we look forward to an exceptional 16th anniversary in 2011 on the shores of Long Island Sound.